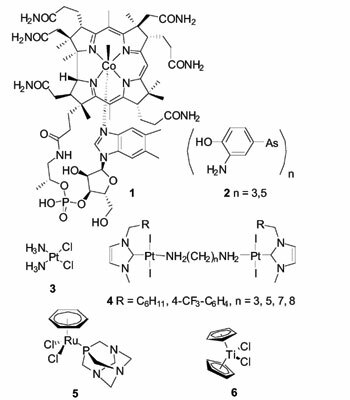 After a short review dealing with bioorganometallic chemistry, the synthesis of tetracarbonyl( pyrrolylimine) complexes of rhenium bearing chirality on the pyrrolyl ligands was reported. The reactivity of these compounds towards the substitution of one carbonyl ligand with triphenyl phosphine, tricyclohexyl phosphine and trimethyl phosphite was studied. The rhenium becoming a stereogenic center in that transformation, the resulting tricarbonyl species were obtained as mixtures of diastereomers, with diastereomeric excesses varying from 8 to 84%, according to the reaction conditions and the relative steric hindrances of the pyrrolylimine and the organophosphorus ligands. These bioorganometallics are potential CO releasing molecules that could be used in the field of medicinal chemistry. Keywords: Bioorganometallic Chemistry, Chirality, Octahedral complexes, Rhenium, Carbonyl complexes, Organophosphorus ligands. Keywords:Bioorganometallic Chemistry, Chirality, Octahedral complexes, Rhenium, Carbonyl complexes, Organophosphorus ligands. Abstract:After a short review dealing with bioorganometallic chemistry, the synthesis of tetracarbonyl( pyrrolylimine) complexes of rhenium bearing chirality on the pyrrolyl ligands was reported. The reactivity of these compounds towards the substitution of one carbonyl ligand with triphenyl phosphine, tricyclohexyl phosphine and trimethyl phosphite was studied. The rhenium becoming a stereogenic center in that transformation, the resulting tricarbonyl species were obtained as mixtures of diastereomers, with diastereomeric excesses varying from 8 to 84%, according to the reaction conditions and the relative steric hindrances of the pyrrolylimine and the organophosphorus ligands. These bioorganometallics are potential CO releasing molecules that could be used in the field of medicinal chemistry.